It is dreary here today. We are on the fringe of all of the icy weather, so we have had solid rain with some icing. It means that bridges are closed, and school was cancelled. What do you do on a day like this? Cook soup. Since I was in my pajamas when I had this brainstorm, I sent TheRoomDad to the grocery store for Taco Soup ingredients. 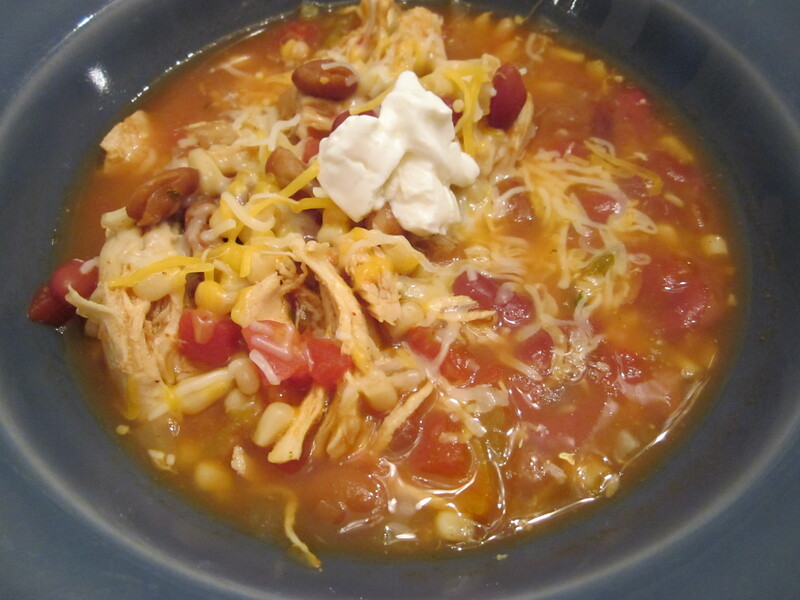 Not only is the soup delicious on a cold day, it is also the perfect soup for eating dinner in front of the TV and watching winter Olympics. Trim any fat off the chicken breasts and cut in half. 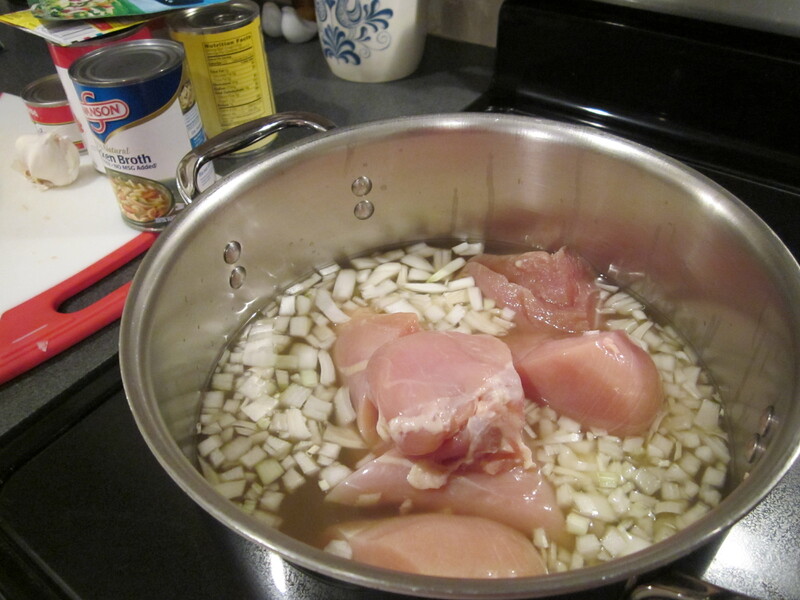 Put halved chicken breasts in a large soup pot with chopped onions, garlic, and 32-oz. chicken broth. Simmer until meat shreds (about an hour or so). 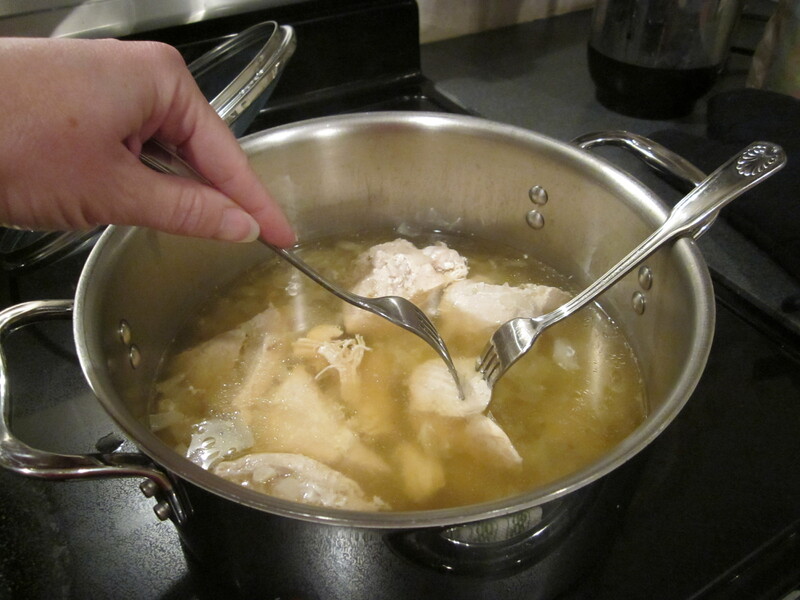 I take the pot off the heat and with two forks, pull the chicken apart in the soup pot. If it is not pulling apart easily, cook longer. 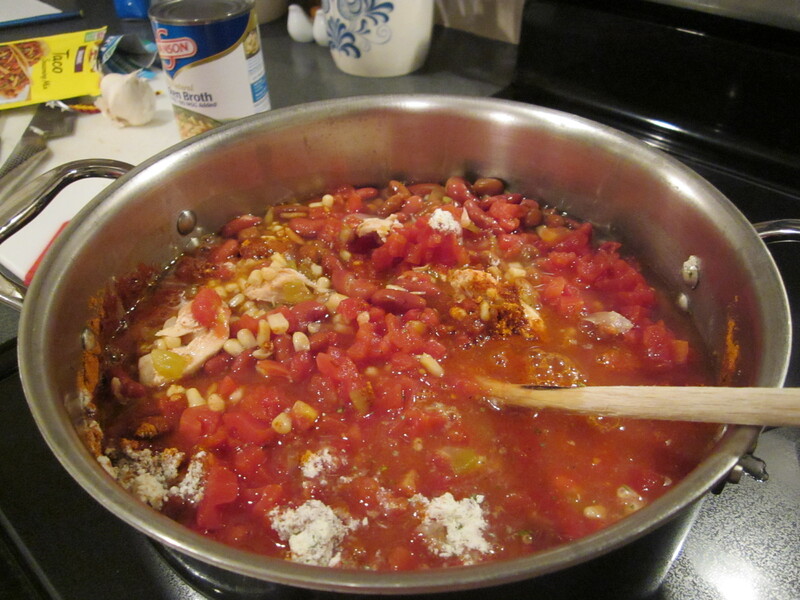 Add all other soup ingredients through the ranch dressing mix. Cook another hour or two on low heat. If you would like to thin the soup at all, add some more chicken broth. 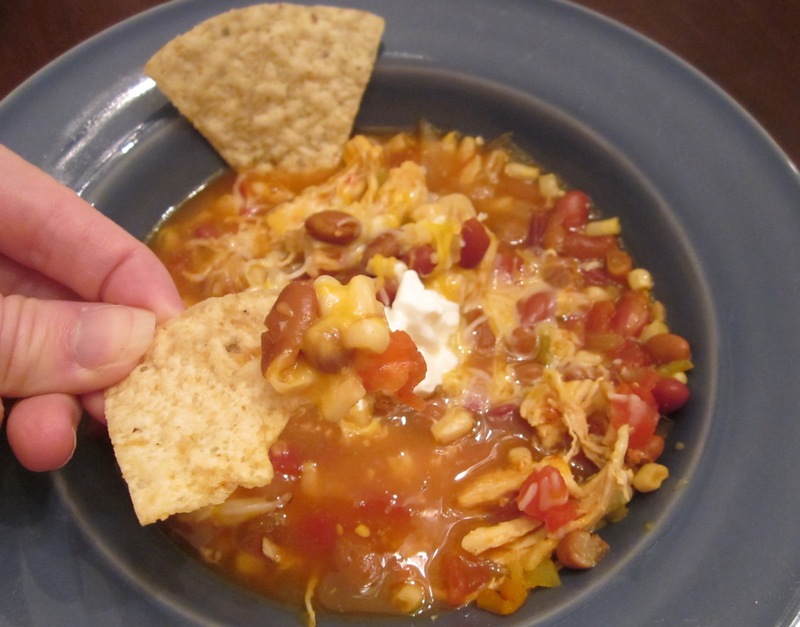 Serve with grated cheese, sour cream, and tortilla chips. 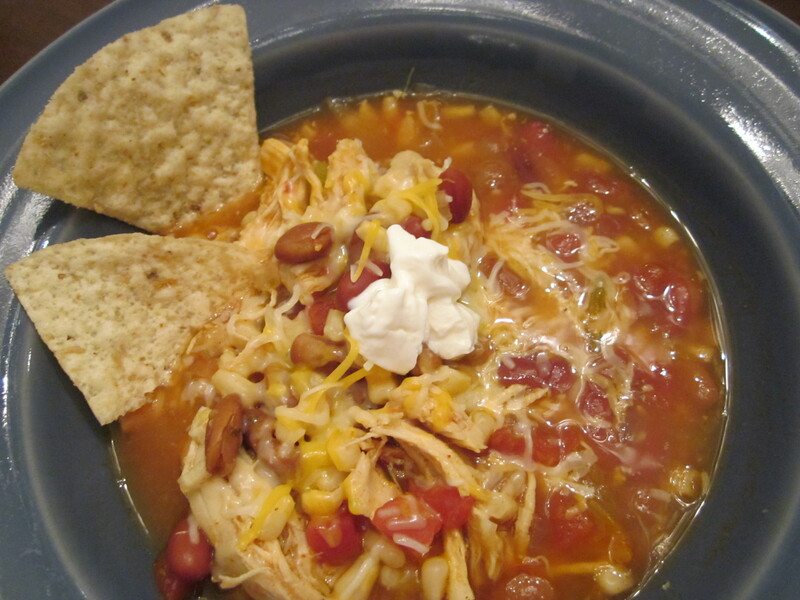 This is a great crock pot recipe. Put the chicken, onions, garlic, and broth in the crock pot on low in the morning. At the end of the day (about 3:00) shred the chicken. Add the other ingredients and cook a few more hours on low.